I wasn't going to trade this week at all but my wife insisted. She said, its a work day, what else are you going to do all week.....and in the face of that logic, I agreed....but only on one condition....she didn't get upset if I had a losing week.....she agreed and here we are. Very narrow range this morning. 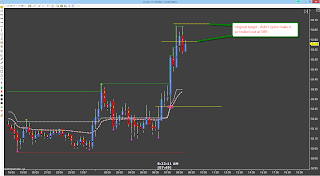 It was only 35 ticks when I got to the charts....but the conditions were good for a nice long....the 30M had broken long overnight and had retested the break out level about 30 minutes before I got to the charts so longs were the only trades allowed. 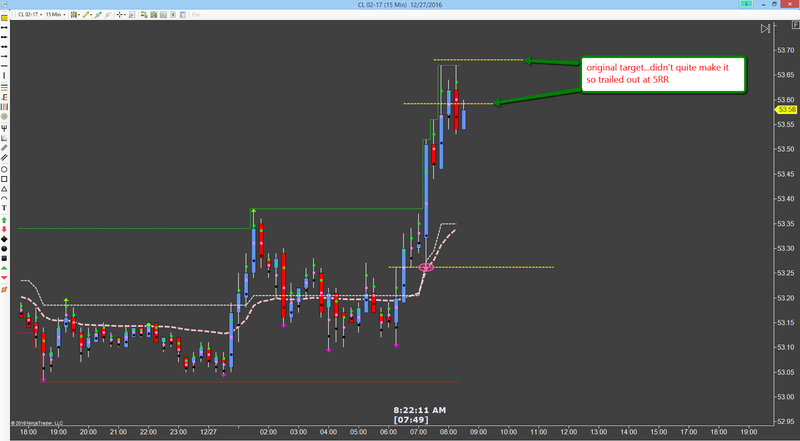 Plus we were trading above last weeks VWAP, so everything looked good for a nice long trade. I found the hidden support on the 15M chart, entered on the lower time frame, no heat at all, I bought the low tick of the pull back and off it went. I think my stop was 5 ticks on this one. Almost nothing. 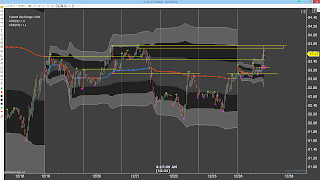 I exited at 5RR as price stalled near my target. I knew it might not make it there due to overhead resistance on the 30M but as I write this, price has just reached that original target. I probably should have held it through the pull back but I was hungry and needed a shower since I overslept this morning. Regardless, I am happy with the results. 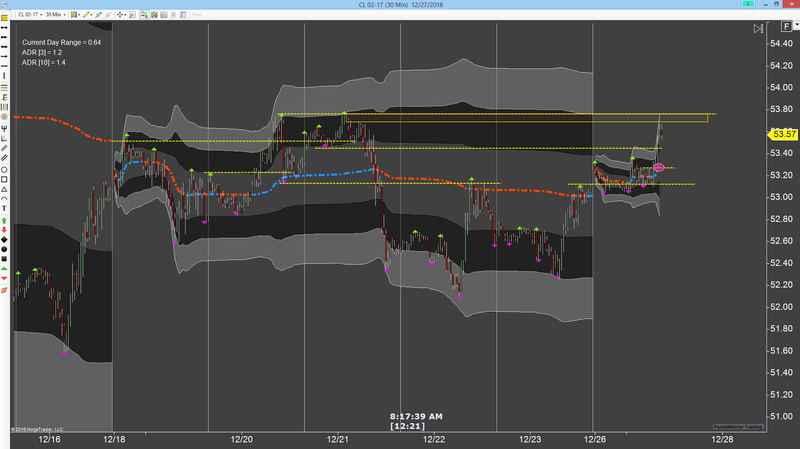 Only 33 ticks to be fair but on a narrow day with only 5 ticks of risk, I will take a 6RR every day of the week. Nice trade. Given the market environment (and in fact IMV any time), 5 ticks risk for 35 ticks is very nice. Good one. This doesn't happen very often....so I'm happy when i get this kind of RR....take care and thanks for stopping by.